This year, I received an early Christmas present. One that I didn't know I wanted, and one that has left a lasting impression. Earlier this month, I was invited onto the Indian Pacific Train for it's annual Outback Christmas event, which travels from Sydney to Perth along the Nullarbor for 4 days and 3 nights. Each year an Australian or International performer jumps on board the train to give back to our Australian rural community. These famed artists join passengers and make several stops along the 4352 km journey to bring Christmas cheer to young school kids and have Santa pop out for a little gift giving. This Christmas tradition kickstarted back in 2000 with Nikki Webster and the train has since hosted other artists including Marcia Hines, Jimmy Barnes, Guy Sebastion, Jessica Mauboy and Brian McFadden, to name a few but for this year it was Aussie Idol's Ricki-Lee. Needless to say how impressed I was by the luxurious interior of the train, and the incredible culinary delights on board. But the amazing food and good company was only the tip of the iceberg. It was moving through the heart and soul of Australia's red rural beauty that truly moved me. It has become tradition for the towns of Bathurst, Broken Hill, Watson, Rawlinna and Kalgoorlie to experience such a wonderful affair. This tradition has become so iconic that throughout the year, the kids of each town prepare for their own Christmas Carol show, so that they can perform a pre-act ahead of the Indian Pacific's arrival. It's something they look forward to and spend a whole year trying so hard to be on their best behaviour to ensure they don't miss out out on Santa's gift giving. Our first school stop was Bathurst. As soon as we hopped off the train, the unexpected large and excited crowd of school kids (and undercover adult fans) hit me with amazement. It was nothing like I had imagined. To see the excitement of the community's kids and the love they put in to their preparations quickly made me realise how important this annual event was to them. This outpour of love and overwhelming joy continued at each stop along the journey, but there was definitely a stand out for me and the rest of the media crew on board and that was Watson! As we approached Watson, we pressed up against the train glass windows to catch a first glimpse of the community that awaited us. 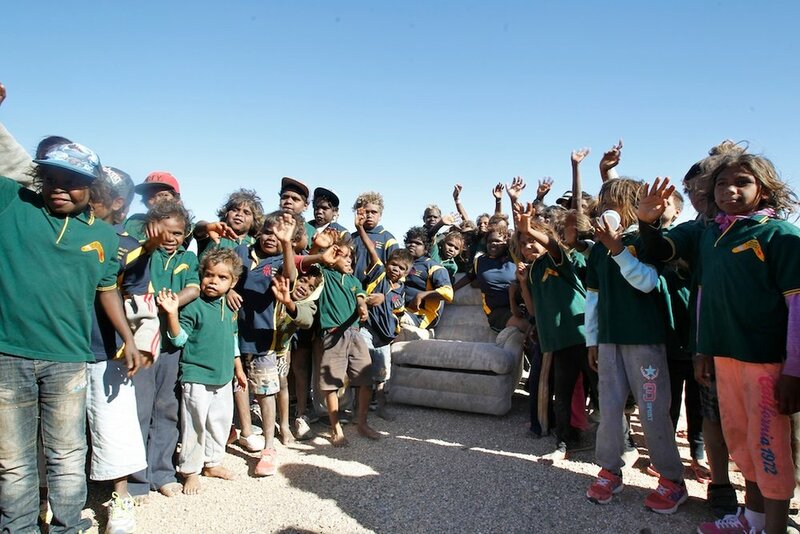 The Indigenous community of Watson, kids, parents and teachers were gathered in the middle of nowhere, with nothing to be seen but a single seater couch that was waiting for Ricki-Lee to take her place. This community had driven 4-5 hours out to the train track the night before and set up camp for the big day ahead. I thought that for the kids, seeing Ricki-Lee perform some of her hit singles and Christmas classics was going to be the highlight. But I was wrong. As soon as Santa rang that bell and hopped off the train, the kids dashed to him in an instant. Every child received a goodie bag filled with lollies and a small toy, as well as a signed Ricki-Lee poster. The expression on their faces and love of what they had just received was just so humbling. These kids treated their gifts as though they had just hit a jackpot! It was such a humbling experience to see that the giving of little delights brought so much joy - the things that sometimes big city kids might take for granted. It was a good insight as to what is actually taking place in the heartland of this amazing country, and how thankful we should be for the community leaders who continue to work tirelessly to strengthen these communities every single day. So not even an hour later, the time came for us to jump back on the train. Walking away from this group of children was truly a hard thing to do, especially since I felt as thought I could have stayed and played for ages. But as the kids of Watson do, they farewelled us by racing the train as we took off saying not one word, in awe of a completely loving and grounding experience. To say I was blessed to experience the loving Community of Watson, is an understatement. This is something that will stick with me for the rest of my life. The Indian Pacific is owned by Great Southern Rail who also operate The Ghan (Darwin to Adelaide) and The Overland (Melbourne to Adelaide). 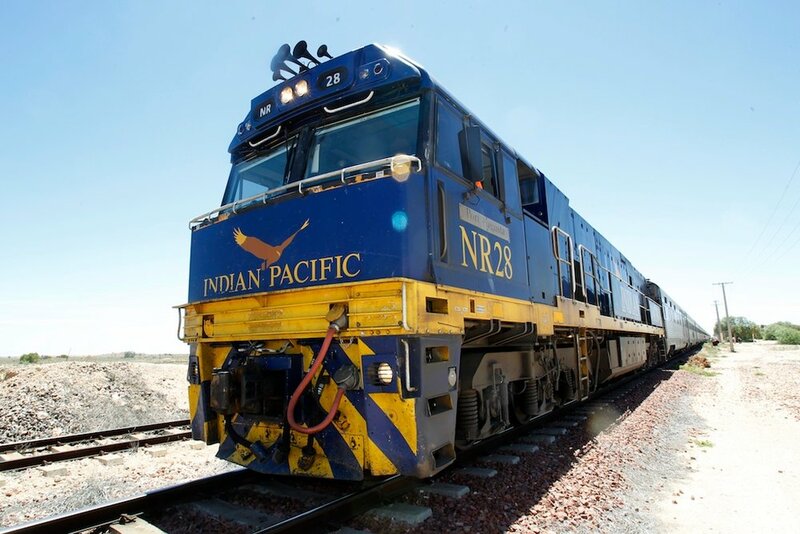 The Indian Pacific consists of 25 carriages that travels at an average speed of 85km/h. 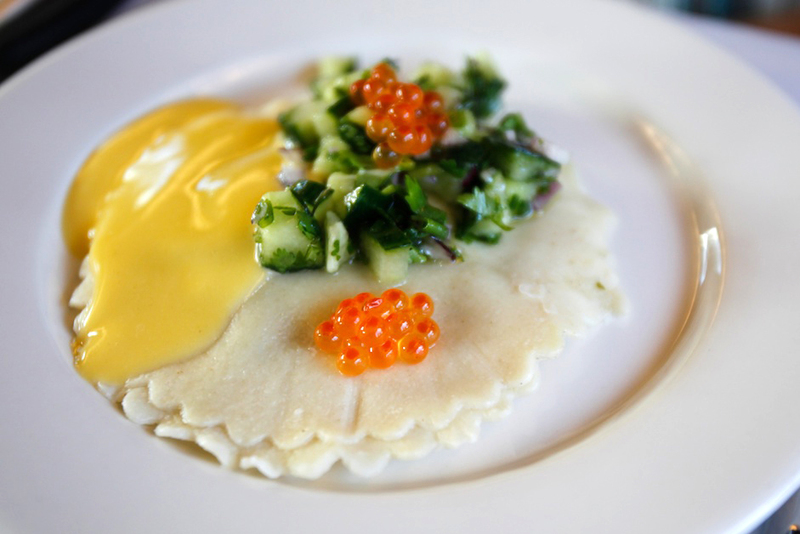 Each year the Indian Pacific hosts approximately 70 000 guests. 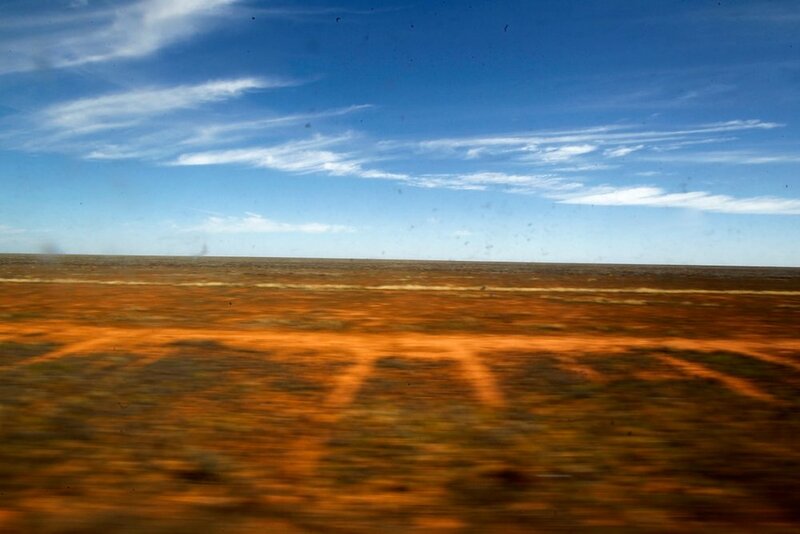 The train travels along the world's largest stretch of rail track - 487km across the Nullarbor Plain. The Royal Flying Doctor Service is Great Southern Rail's major charitable partner. Elaine experienced the journey into the heart of sweet life as a guest of Great Southern Rail.